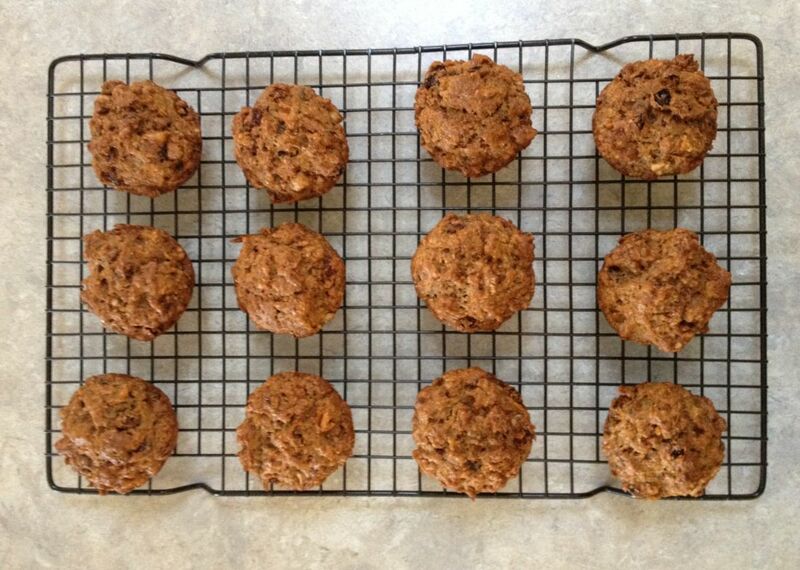 My versatile carrot cake muffins recipe makes 12 individual muffins or one loaf. 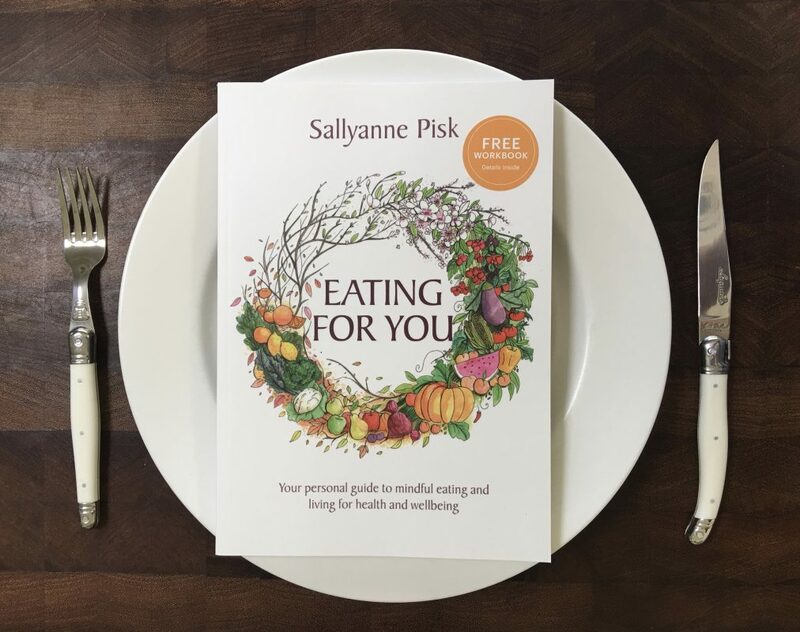 The health features include use of wholemeal flour and oil (in place of butter) and a reduced amount of added brown or raw sugar, which is optional. 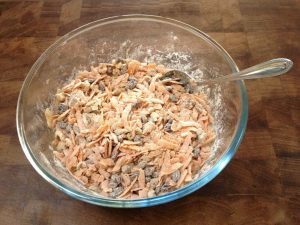 If you choose to add the sugar, this equates to just under 1 teaspoon of added sugar per muffin. 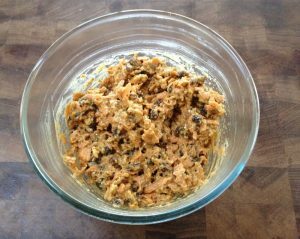 Carrot, walnuts and sultanas also add the nutritional benefits of fibre, vitamins and omega three fats. The use of cinnamon and vanilla enhance the fruity flavour. Lightly grease your muffin tray or loaf tin with oil or butter. Place a pre-cut piece of baking paper in the base of the loaf tin. 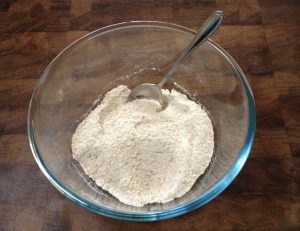 Mix flour, bicarbonate of soda, sugar and cinnamon in a bowl. 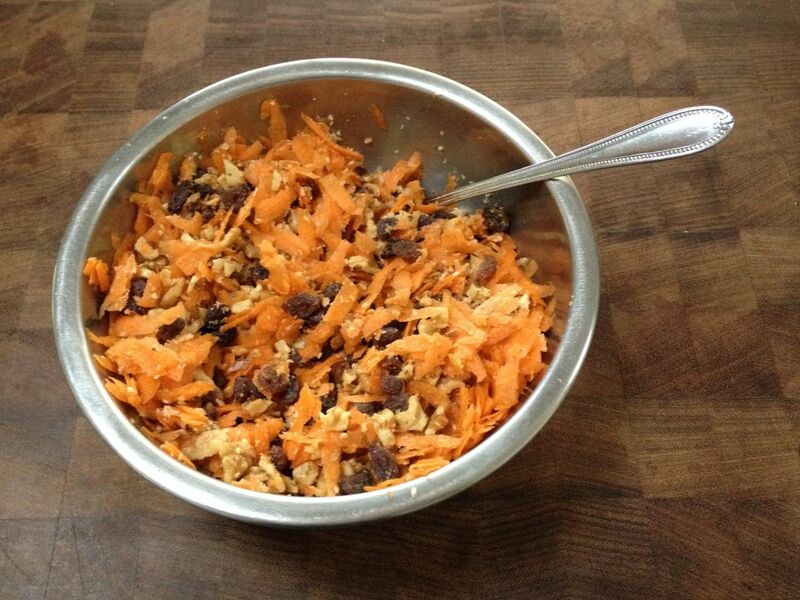 Mix grated carrot, sultanas and nuts in a separate bowl. 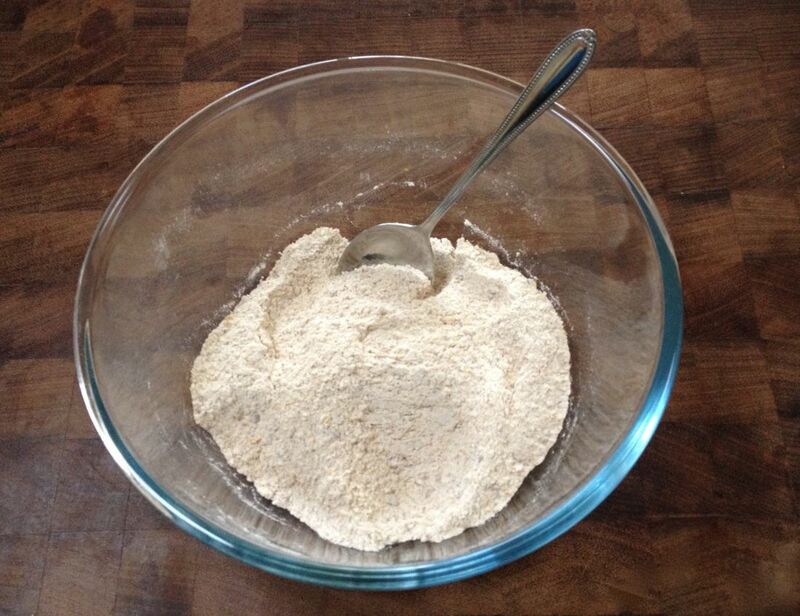 Add flour mixture and mix well. You need a good coating of the flour mixture on the carrot, sultanas and nuts. In a small bowl whisk the eggs, oil and vanilla essence. 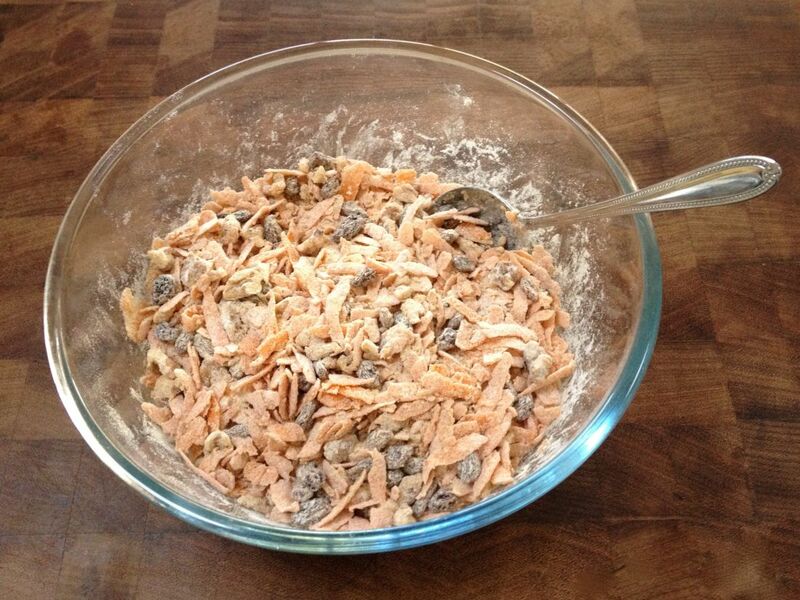 Add to dry mixture and mix thoroughly. Place carrot cake muffins mixture into muffin tray or loaf tin. 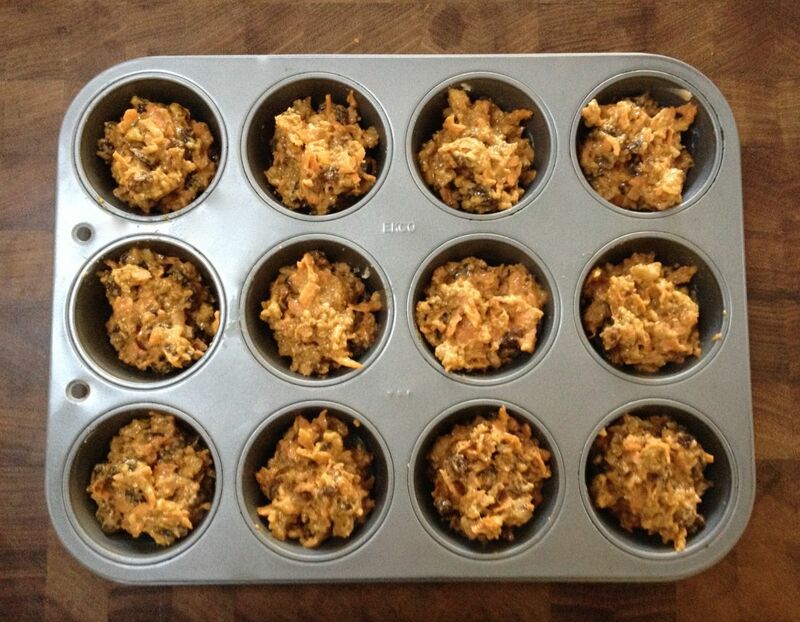 I use 2 soup spoons to scoop the mixture in the muffin tin. Cooking time for the muffins is 20 to 25 minutes. Cooking time for the loaf is 35 to 40 minutes. Once cooked turn out onto a wire rack to cool. Carrot cake muffins or loaf may be enjoyed as a in-between-meal snack or served with yoghurt for dessert. 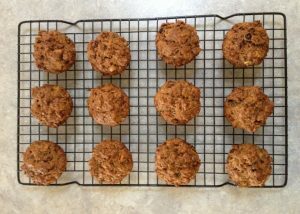 They are popular with children and adults, so they are a great snack to have on hand. The muffins are simple to make and freeze well. If you make a loaf, cut it into slices before freezing. Defrost the muffins or loaf on wire tray, and you might like to reheat prior to serving. Simple to make and store, they satisfy an in-between-meal hunger pang. They are an ideal snack for bush walking or when you are working outdoors. 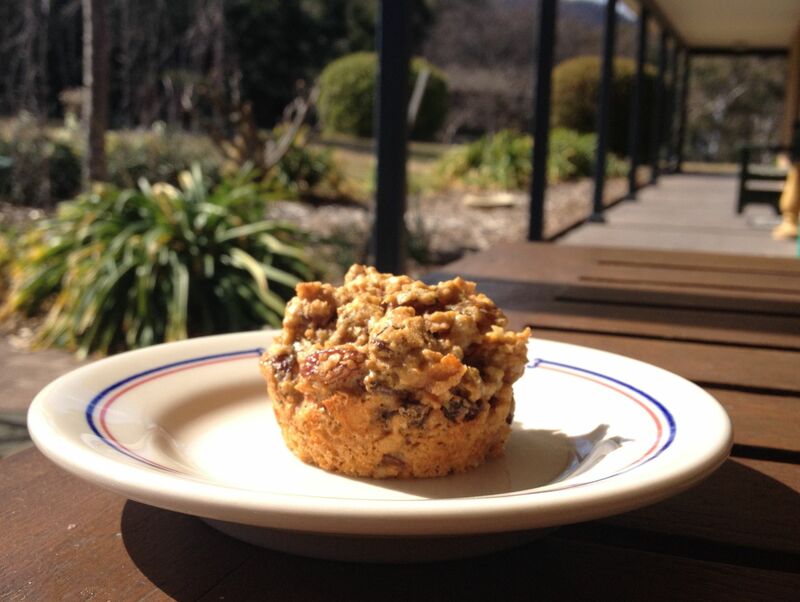 Carrot cake muffins are one of my favourites.